The U.S.-Mexico border, stretching 2,000 miles from the Gulf of Mexico to the Pacific Ocean, is a diverse area, encompassing deserts, mountain ranges, wetlands, estuaries and aquifers. The border region is currently home to more than 12 million people - by 2020, the binational population along the border is expected to double to more than 24 million people. Infrastructure projects at the southern California/ Mexico border. The environmental challenges of this rapid population growth include unplanned development; greater demand for land and energy; increased traffic congestion, air pollution and waste generation; overburdened or unavailable wastewater treatment; and increased frequency of chemical emergencies. Kicked off in 2002, the U.S.-Mexico Border Environmental Program (Border 2020) is a powerful partnership between EPA, the Mexican environmental agency SEMARNAT, 10 border states, 26 U.S. tribes, and numerous binational institutions and communities. It is a 10-year, binational, results-oriented environmental program for the U.S.-Mexico border area that aims to sustainably protect the environment and public health. Accomplishments include major improvements to drinking water and wastewater infrastructure that benefit more than 7.8 million people, establishment of emission inventories and a binational air monitoring network to assist in identifying effective emission reduction strategies, road paving projects to significantly reduce particulate pollution, and the conduct of sister city drills to improve binational emergency preparedness coordination and readiness. Throughout the United States, water quality improved dramatically in the 1970s and 1980s as a result of the Clean Water Act of 1972 and the wastewater infrastructure improvements built to comply with it. But waters polluted by sewage continued to flow into the U.S. along the U.S.-Mexico Border, and as the Mexican border cities’ populations grew explosively in recent decades, the problem worsened. EPA and Mexican government agencies have been cooperating since 1995 to fund and build wastewater improvements, and the results have been dramatic. The New River, flowing from Mexicali, Mexico, to California’s Salton Sea, is a case in point. It’s called the “New” River because it didn’t exist until the Colorado River broke a levee in 1905 and sent a stream of water into Mexico that turned north into the Imperial Valley, creating the Salton Sea. The levee breach was repaired, temporarily drying up this “river,” but later the channel was re-watered by sewage and irrigation runoff from Mexico. As Mexicali’s population exploded from 6,200 in 1920 to more than 850,000 today, the city’s wastewater infrastructure did not keep up, and, consequently, pollution in the New River continued to increase. Work began in 1996 on renovation and repairs to Mexicali’s existing sewage pipes and treatment facilities, funded jointly by the U.S. and Mexico. The binational cooperation continued, upgrading and expanding the city’s treatment capacity over the next few years. While these efforts resulted in significant improvements, 10% of the New River’s flows still consisted of raw sewage. 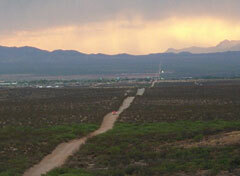 In 2007, a new wastewater treatment plant located in the south of Mexicali was completed. The estimated 15 million gallons per day of sewage that once flowed untreated into the New River is now treated, disinfected and discharged into a series of irrigation canals that flow southward into the Rio Hardy, which is a tributary to the Colorado River Delta in Mexico. The removal of this untreated sewage from the New River has resulted in significant drops in bacteria levels as well as increased dissolved oxygen. Phosphates in the New River, which contribute to water quality impairments in the Salton Sea, have dropped by 25%. Overall, EPA has contributed nearly half the $98.6 million cost of the Mexicali wastewater projects, with the Mexican government contributing the remaining funds. 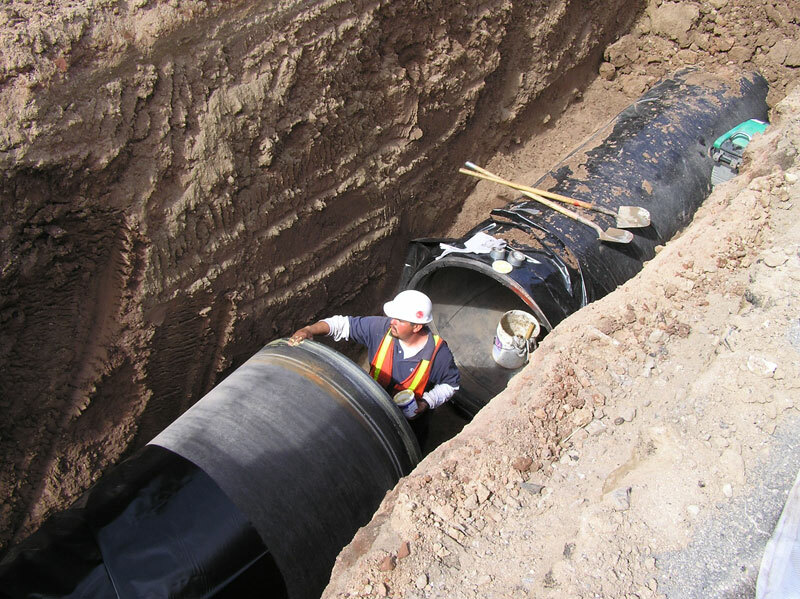 Already, these projects have benefited an estimated 635,000 people in Mexicali, and have resulted in the treatment of approximately 40 million gallons per day of sewage. Construction is underway on similar projects elsewhere, such as the Nogales International Wastewater Treatment Plant, due for completion in 2009. Not only do these investments result in improved water quality, they also create wastewater utilities in Mexico with the capacity to finance and construct future infrastructure projects. It’s a welcome trend for millions of people on both sides of the border. Indigenous communities in Sonora and Baja California are among the poorest and most isolated populations of this arid region, with little to no water or wastewater infrastructure. Until recently, the only source of drinking water for children and residents of the Quitovac O'odham community in Sonora, Mexico, were shallow, hand-dug wells contaminated with coliform bacteria and high levels of lead, arsenic, uranium, and chromium were. The usual source of drinking water for most indigenous communities in Baja California has been untreated surface water from springs, shallow wells or creeks. Many of those sources are contaminated by livestock, wildlife, or dead animals. With funding from the Border 2020 program, the communities of Quitovac (Sonora, Mexico) and San Antonio de Necua (Baja California, Mexico) completed construction of their water systems. The new system at Quitovac serves a boarding school for 100 O'odham children. The Mexican government is now extending electricity to the community and has committed to upgrade homes to provide indoor plumbing, and the Pan American Health Organization is providing a health clinic. The Pala Band of Mission Indians completed an EPA-funded assessment of the drinking water for seven indigenous communities in Baja California. This assessment revealed significant drinking water contamination in six of the seven indigenous communities. As a result, Border 2020 provided $66,000 for drinking water infrastructure improvements for two of the indigenous communities, and Mexico committed to providing $900,000 for water and other infrastructure improvements for 102 homes in Baja California indigenous communities. In addition, the Pala Band of Mission Indians received Border 2020 resources to fund training and capacity building for the operation and maintenance of two new water treatment systems in the Baja California communities of San Jose de la Zorra and San Antonio Necua. $100,000 has been added to these ongoing projects that will improve water infrastructure for five indigenous communities in the Baja California Border Region including San Antonio Necua, San Jose de la Zorra, and Santa Catarina. Drinking water distribution lines have been constructed and operation and maintenance training has been conducted for workers at San Antonio Necua and San Jose de la Zorra.